I wear my sunglasses at night, so I can swing at three sliders in the playoffs. 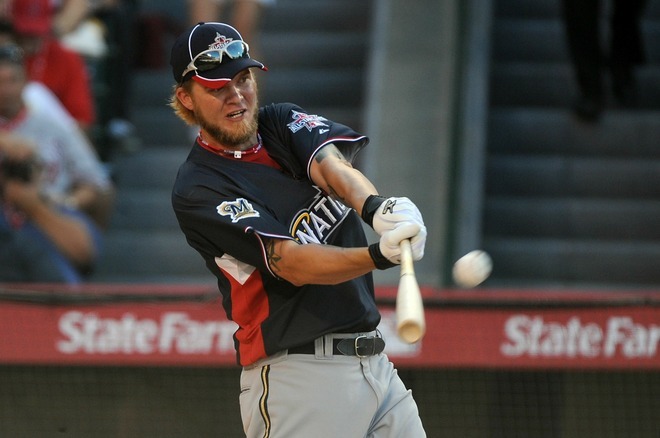 Corey Hart isn't trying to draw a walk, he's trying to get hits and drive in runs. It doesn't matter if not one of those pitches were anywhere near the strikezone and the previous batter walked on four straight. So I can watch you weave then breathe your story lines. Ever wonder what promises the Brewers made to Jim Edmonds to convince him to sign and stay with Milwaukee? After the complete ineffectiveness of Corey Hart in 2009 and late 2008 it was pretty clear that all faith had been lost. Jim Edmonds was going to start in Right Field and Hart was going to have to earn his chances. And I wear my sunglasses at night, so I can carry the team? There was a time when Corey Hart had all the potential in the world, but after watching him struggle with the breaking ball away it was pretty clear that his future would not be what Brewer Nation hoped it would be. And then, out of nowhere, doubles become home runs and Corey Hart is the most consistent hitter on the roster. It's safe to say that was a bit unexpected, but it's the truth. 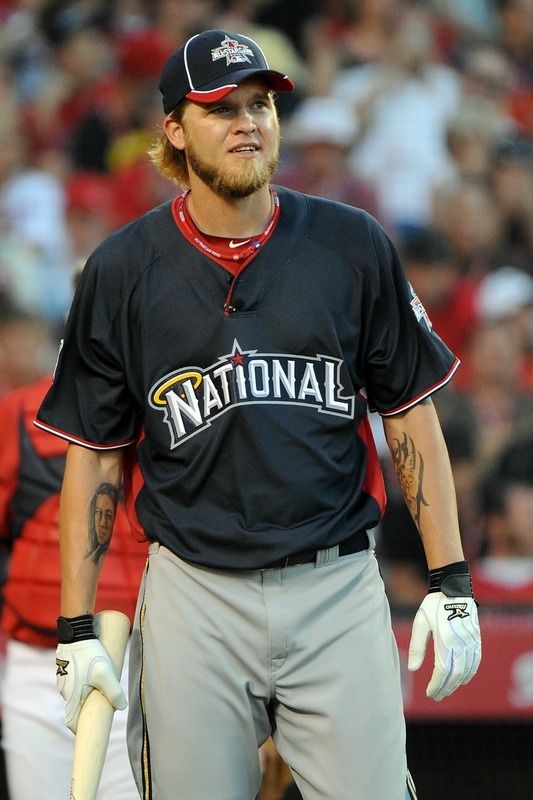 Where would the 2010 Brewers be without Corey Hart? So I can keep track of the visions in my eyes, hopefully better than the the fly balls. Look it's not like Hart is a bad defender, for a guy that came up through the minors playing first base, third base, left field, center field and finally right field he is a pretty good defender. But sometimes you see him take a route to a ball or play something in such a way that really makes you wonder what he was thinking. Still, he isn't a liability out in right and most of the time he is a well above average defender. But he sure isn't going to win any gold gloves anytime soon. While she's deceiving me, it cuts my security. Let's be real here, very few players actually want to be on the trading block. It means uprooting your life and when you have been in the same place for as long as Hart has there is a comfort level. That said the fans don't really want to hear from an opposing teams general manager that you don't like it. This is probably more of a dig on Padres GM Jed Hoyer, because all Hart did was answer his question. So what's the deal Jed? What purpose does it serve to let the media know Corey Hart doesn't like being on the trading block? I'll stop short of calling it amateurish, but there are other, less appropriate words I could use. She got control of me, I turn to her and say... Talk about a rocky relationship with the fans, although has it been really? The Crew fans got frustrated and often times irritated with Corey, but it never reached Suppan-esque levels. Hart struggled but frustration only mounted in the fanbase when his attitude went the wrong direction. No Brewer fan will forget that at-bat in the playoffs, but it was Hart's comments afterwards that really grated people. Don't switch the blade on the guy in shades, oh no. Whenever Hart decided fans didn't like him anymore, it always seemed like he made it a point to let the media know. And the times it did happen it just seemed awkward and forced. Even for those that really didn't like him, there was always someone to draw the ire more so. Whether it was Bill Hall or Jeff Suppan, Hart flew under the radar. He struggled at times but he was one of the young guns, a part of the organization's core that gave us players to cheer for. Unless he got to be J.J. Hardy bad, Hart was a role player so the expectations weren't the same as they were for the big contract players. Don't masquerade with the guy in shades, oh no, lack of power in the minors doesn't mean much when you attempt to translate those numbers to the big leagues and Hart is a prime example of that. Aside from 2002 with High Desert (when he had 22, but everyone hits in High Desert), Hart never hit more than 17 home runs in a minor league season. Then in his first full big league season he hit 24, followed by 20 and this year he has 22. They aren't making minor league parks smaller after all. I can't believe it, you got it made with the guy in shades, oh no. But don't get him wrong, Hart would love to stay put. Even if he has also said he wouldn't mind being traded to a contender, but then what athlete doesn't want to win? He would love to stay in Milwaukee, but he also didn't have an interest in an extension when the team approached him with one a few seasons ago. Money talks, sure Corey would like to stay but there will be millions of reasons for him not to. I wear my sunglasses at night, so I can, so I can, forget my name while you collect your claim - What real value can Corey Hart bring back though? It's not likely that he can increase his value with another season in Milwaukee, since he will then only be under club control for 2011. His value is as high as it will ever be, so what can he bring back? If the Brewers stop dragging their feet in trade talks they should be able to pull in a major league pitcher or near major league pitcher who can help the club for a few seasons to come while lowering payroll. Wade Davis? Probably not. Jonathan Sanchez? That would be fair. The Padres could use a right fielder that can actually hit. His value isn't going to increase, not unless teams start bidding for him and that is as likely as a playoff run.